Australian charity SolarBuddy launched its conference program a year ago and has already clocked up an impressive tally of presenting to 15,000 attendees at 38 conferences. And it all happened without any marketing, just word of mouth. CIM spoke with founder and CEO Simon Doble about building a highly engaging and cost effective CSR activity around their innovative solar light that that helps children living without access to energy. CSR must be a crowded marketplace – how do you get heard? With a lot of hard work and a bit of luck. Since launching in 2016, most of our growth has been through word of mouth and referrals with very little investment in marketing. I think the main reason for this is due to the uniqueness of our program, which combines both an educational and practical component. Participants get to learn about the relatively unknown issue of energy poverty, which affects 1 in 5 people around the world. 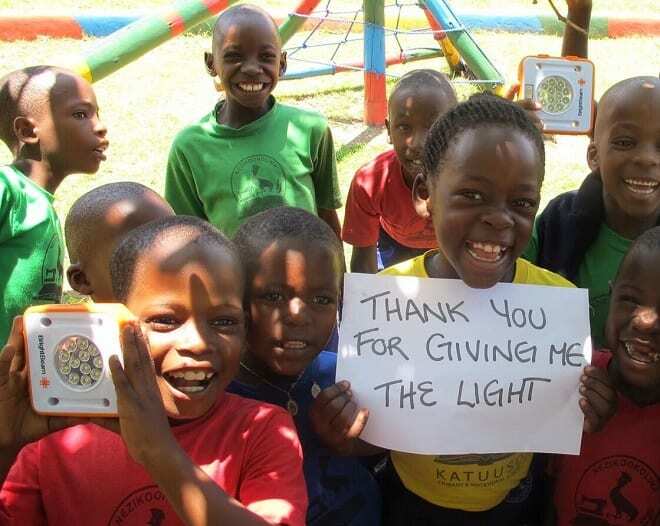 They become part of the solution by assembling a solar light and writing a letter of encouragement to their ‘buddy’. The light and letter are then sent directly to a child in need. We have also grown through developing strategic relationships with our partners across multiple touch points of CSR opportunities within companies that aligns with their own corporate social responsibility programs. Why did you develop a conference program and how did you go about building it When we launched, the idea was to connect children in Australia with children in developing countries through a shared experience. However, we soon realised that our program was also a natural fit for corporate partners as part of their social responsibility strategy. We have since developed a range of engagement opportunities that include conferences, events, workplace giving, volunteering and direct donations. Just last year we were announced as the global charity partner for The Flight Centre Travel Group – Brighter Futures. We are well on our way to seeing energy poverty become a thing of the past in Vanuatu and the Dominican Republic within the next two years through this partnership. How do you cut through with a message that is accessible and results in tangible benefits? The difference is that we’ve created a purpose driven CSR program that is short, cost effective and highly engaging. 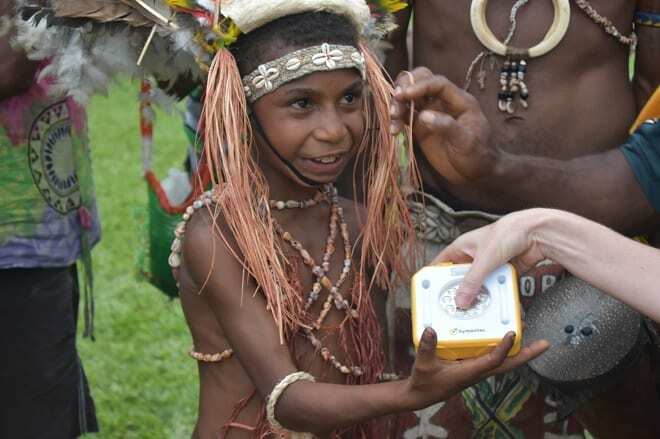 It’s a flexible program that can be run anywhere in the world and we provide all the materials necessary for the sessions including impact videos and solar light kits. We don’t try and overwhelm participants with the magnitude of the issues, but rather we highlight the need and the difference they can make by assembling and gifting a light to a child living in energy poverty. Every light that is assembled as part of one of our programs will have a direct impact on the life of a child and their immediate family. Do you customise for each event? We certainly do – we like to ensure that our message resonates with each audience. We achieve this by curating our program to tie in with our corporate partners social responsibility agenda and deploying our program in various formats from small scale events, to exhibitions, to conferences in the thousands. How do you measure ROI? We measure our impact in a couple of very specific ways. We track the progress of our programs by the number of corporate clients who engage us, the reported increase in employees’ sense of loyalty and shared value, as well as their improved sense of global citizenship and awareness of energy poverty related issues. We also monitor and evaluate the effectiveness of our programs on the lives of children living in energy poverty. Working closely with our international development, our research demonstrates that our lights really do work, with early studies showing that children are studying up to 78 per cent longer with a SolarBuddy light and households are saving up to 80 per cent of their daily expenses previously spent in expensive kerosene, firewood and candles. We provide detailed reports to all our corporate partners to demonstrate the positive impact of their actions – building a light and writing a letter to their ‘buddy’. Because of the personal nature of our program we’ve witnessed consistent reengagement from our corporate partners, which is hugely inspiring and uplifting for our little charity. You have grown through word of mouth – any other channels to promote such as TEDx or other public forums? We haven’t really used other public forums to grow to this point, however I have just recently joined the speakers circuit to help shine a light on the issue of energy poverty and the work of SolarBuddy. What are the main points a good CSR program needs to hit? A good CSR program needs to be relatable, easy to digest and accessible through multiple avenues.